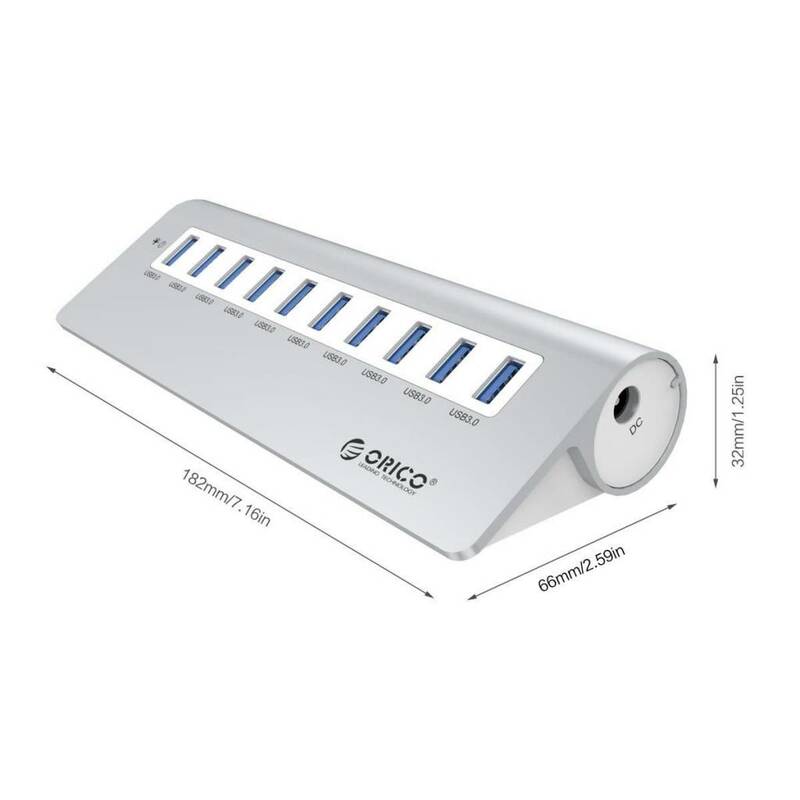 ORICO Aluminum 10 Port USB 3.0 Hub with 12V3A Power Adapter for iMac, MacBook Air, MacBook Pro, MacBook and Mac Mini, 3.3FT USB 3.0 Cable, VIA VL812 Chipset - Silver (M3H10) - NWCA Inc.
MAC-style design, anodizing process carefully crafted. 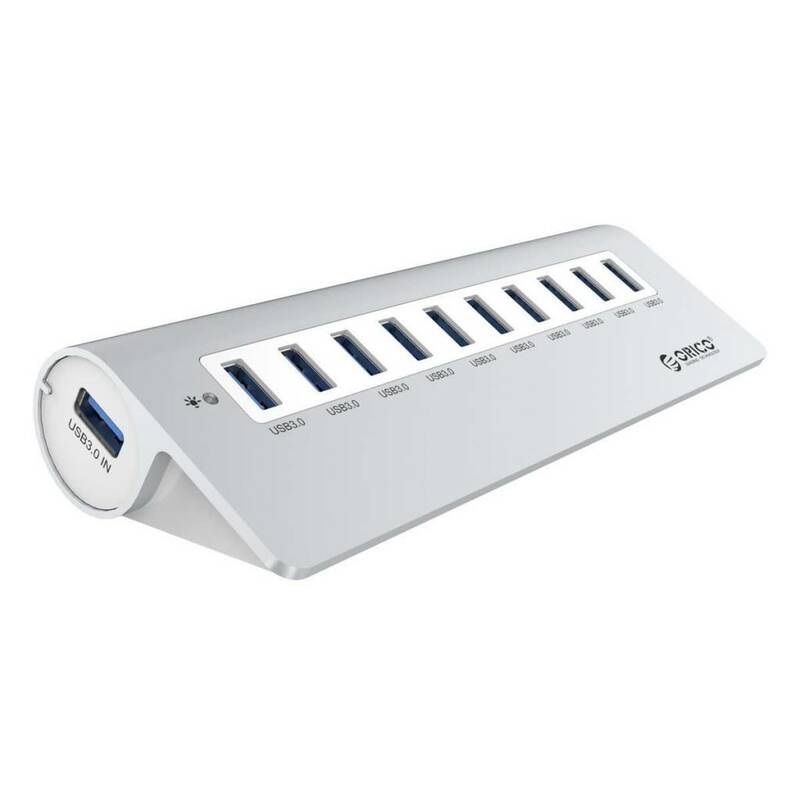 10 ports USB3.0 hub, 32d angle of inclination designed so that you may easily plug your device, which fits for desktop extension. ORICO SuperSpeed USB3.0 hub built in with a 3rd-gen VL812 USB3.0 controller which provides an easy and reliable connection with a transfer speed of up to 5 Gbps, 10x greater than USB2.0 that allows users to add 10 USB3.0 ports for your computer in seconds, backwards compatible with USB2.0 and 1.1. 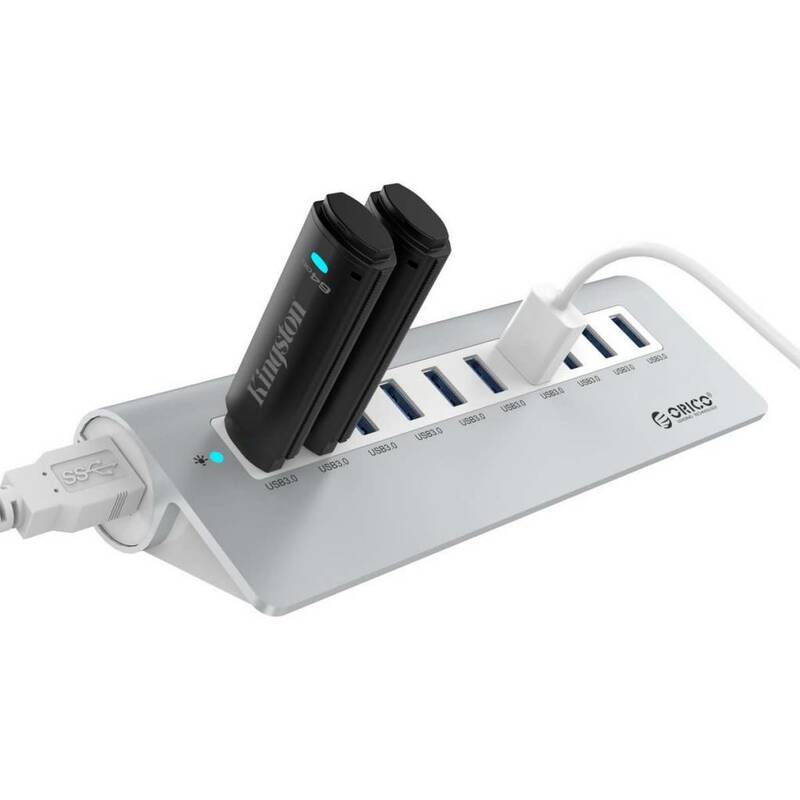 10 SuperSpeed USB3.0 ports for any Windows, Mac, Linux computer, it is compatible with most devices such as phones, tablets, laptops, desktops, and other Apple devices and more. 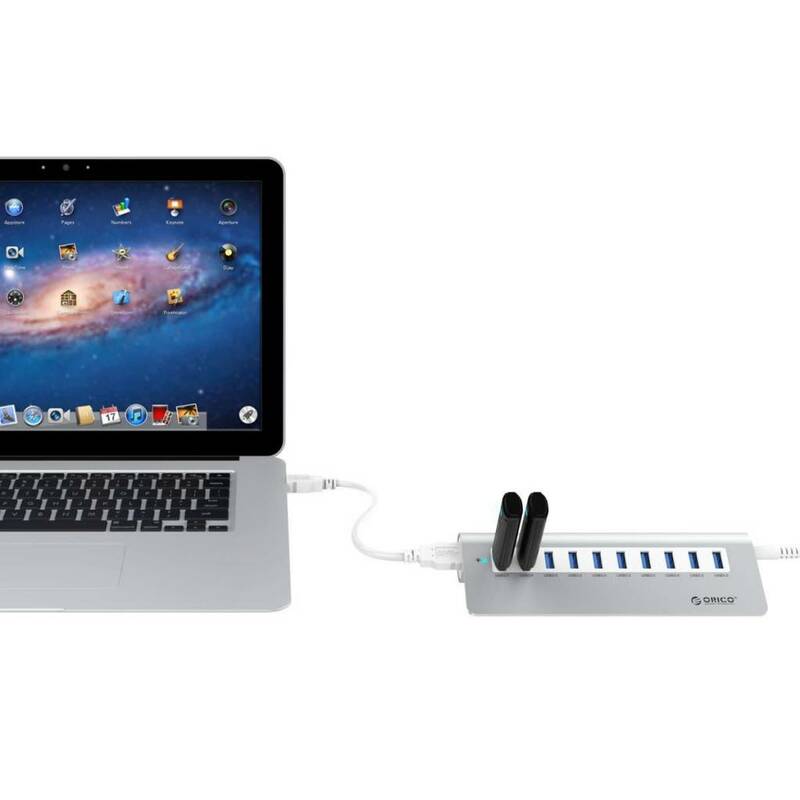 What is more, it is certified by CE, FCC.